As you may already know, at Dog Lover Store we offer a custom paint service where we custom paint our in stock figurines to look like our customer’s dogs. Our customers upload photos of their dog and we paint the figurines to match all the colors and markings of their dog. We often get asked what our best selling dog breed is, based on the products we sell. Although we do have our TOP selling breeds, like German Shepherd and Pug, these change from season to season and year to year so it’s hard to say. 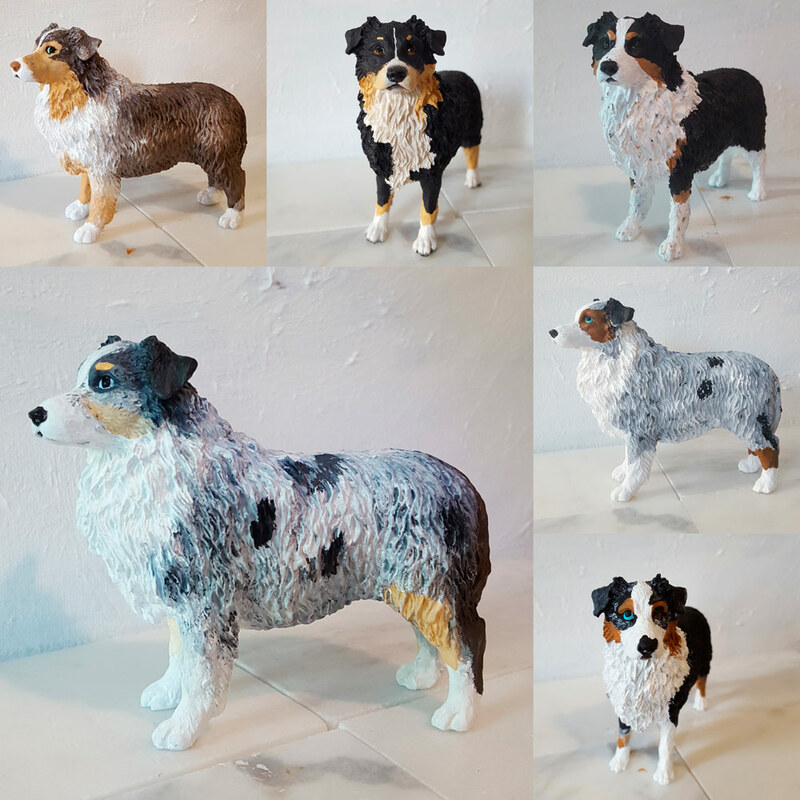 But what we can say is the Australian Shepherd is by FAR our most popular request for our custom painted dog figurines. Below you can see a sampling of custom painted Australian Shepherd figurines that we have painted along with a sampling of photos that our customers have submitted of their Australian Shepherds. Do you have a favorite? We like the brown/red merle and blue merle figurines. We also love to paint figurines of dogs that have two different color eyes. It’s a unique detail that we are able to include that really shows the attention to detail that our artists possess. We’ll bet on a few reasons why the Australian Shepherd is our most popular custom painted figurine. 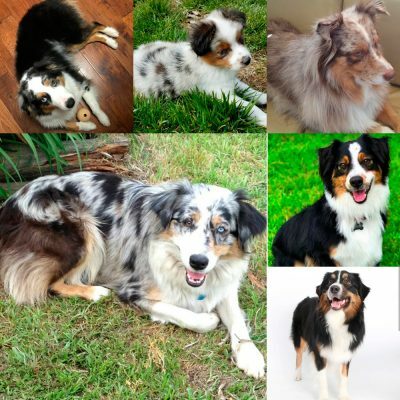 For one, the Australian Shepherd is a very popular breed right now. Dog lovers from all over have fallen in love with this beautiful, friendly breed. They are known for being gentle and great with families. They are easy to love! Secondly, Australian Shepherds tend to have a huge variation in their coat coloring and markings. They come in 3 main colors: tricolor, red merle, and blue merle. But with any dog that has a merle coat or a coat with multiple colors, they are bound to have huge variation and unique markings. Because of this, it’s hard for people to find a “stock” figurine that looks exactly like their dog. Since they aren’t able to find a figurine that looks similar enough to their dog, they come to us to order a custom painted figurine. Australian Shepherds can be a challenge to paint because we often have to blend multiple coats, mix custom colors, and include intricate details. But no worries, it’s a challenge we love and accept with open arms, or should we say open paint bottles. Any process that can be time consuming is usually one that is truly worthwhile. Our customers contact us in tears expressing the love for their figurine and how we recreated and captured their beloved dog. Now that’s a mission: accomplished!